Cobia. Tarpon. Tuna. Muskie. Yellowtail. Kingfish. Grouper. Bluefish. Mahi. Pike. Amberjack. Coastal waters, reefs, bluewater and northern lakes are teeming with vicious predators that are suckers for soft baits, but are notorious for shredding soft plastics...until now! 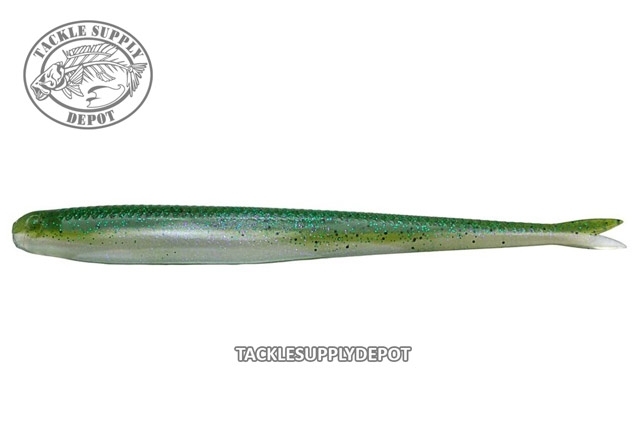 The 10 inch HeroZ is an oversized, elognated, fish-shaped jerk bait that is super soft, but is ideal for big fish applications thanks to its 10X Tough ElaZtech construction. When paired with an 8/0 HeadlockZ HD jighead or 12/0 ChinlockZ weighted hook, it can be cast, jigged, or trolled to entice a wide variety of bigwater targets. So whether you're chasing yellowfin or cobia in the Gulf, plying kelp forests for yellowtail in SoCal, or weeding through chopper blues to reach stripers off Montauk, tie on the HeroZ and bring it on!